Hi, y'all! I'm proud to say I'm finally posting another recipe! It's been entirely too long since I found the time, and desire, to get in the kitchen and bake something. Last Friday, it happened. And it was glorious. Before sharing this yummy (and easy!) recipe with you, let me give a little confession. A big, FAT confession, really. I have eaten a piece of pie after every single meal (breakfast not always included) every day for the last month. No exceptions. This is neither a joke nor exaggeration, my friends. Somebody crown me the Pie Queen and let's call it a day. It all started on Thanksgiving when my mother-in-law made a run to Boston Market for our afternoon feast. Bear was only four days old and we were housebound so she brought back an array of tasty food and desserts. When I say "array", I'm talking six pies for four people. And guess what? Two days later they were gone. The pumpkin pie was so delicious that I couldn't stop craving it and immediatley sent Zach out for another. And another, and another. I ate four pumpkin pies, by myself (Z hates the stuff), in a two week period. I have also finished off two Hershey's Sundae pies, a cherry pie, and now this cheesecake (with a little help...can't take all the credit for this one). My sweet tooth is officially ridiculous. Good thing I'm getting two cavities filled in January. 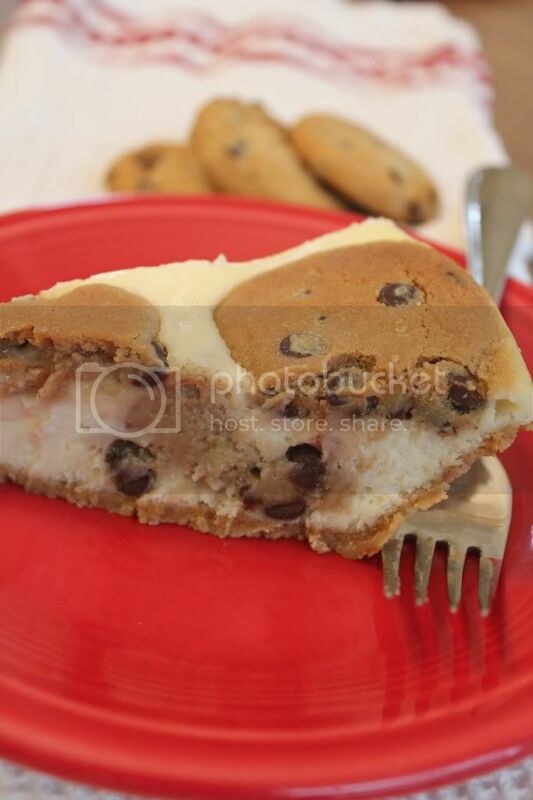 With recipes like this floating around on Pinterest, who can resist eating dessert after every meal? Not this girl. 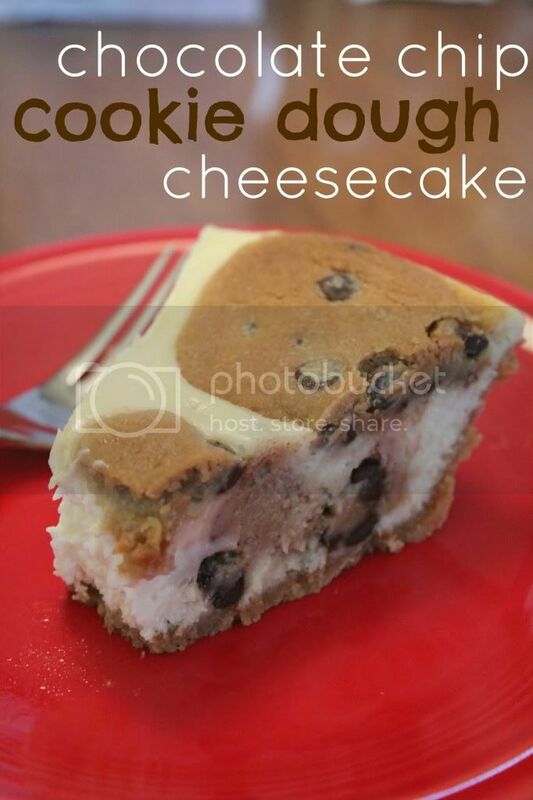 This is honestly one of the best things to ever bake up in our kitchen. 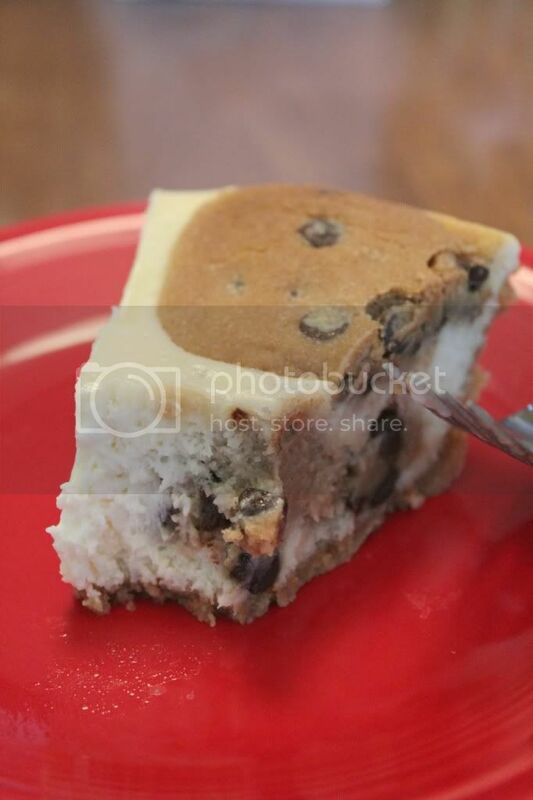 Zach thinks it's every bit as good or better than the Cheesecake Factory's cookie dough cheesecake, which is saying a lot. 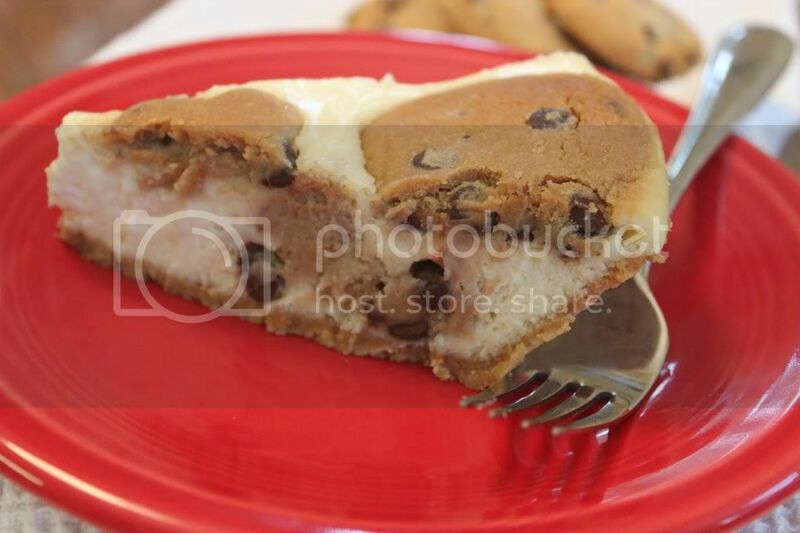 Our favorite part was the cookie dough chunks inside the cake that stay soft and absolutely melt in your mouth. Oh my gosh, now I'm dying for another slice and we finished it off last night. These pictures are pure torture! One more thing...this cheesecake is made in only THREE simple steps. That's all! Zach held a fussy little Bear while I whipped it up; it was less than five minutes from the time I walked in the kitchen until I placed the cheesecake in the oven. So, so very easy. 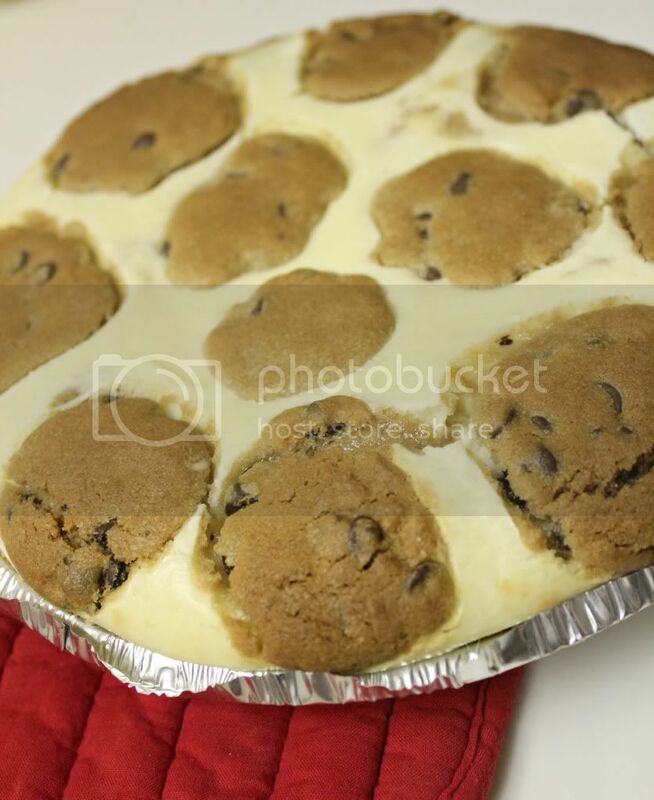 If you're looking for a quick yet delicious dessert for the holidays, look no further. You will love this and your friends and family will love you for it.